Jump (for my love) the third single from the Pointer Sisters' would have been a perfect soundtrack for my time in Jumpcity, Gdynia. 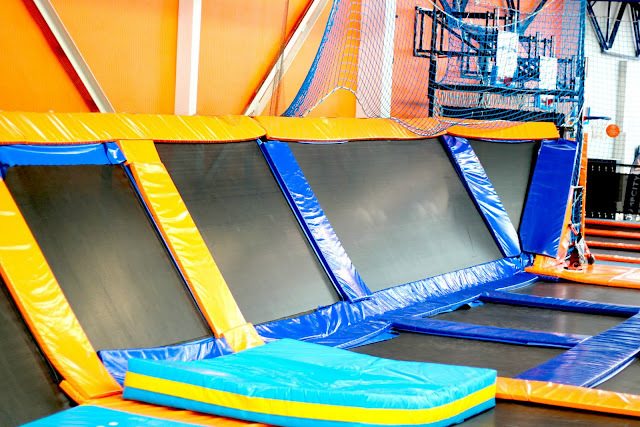 This trampoline park is a great place for an active day with your friends and family. 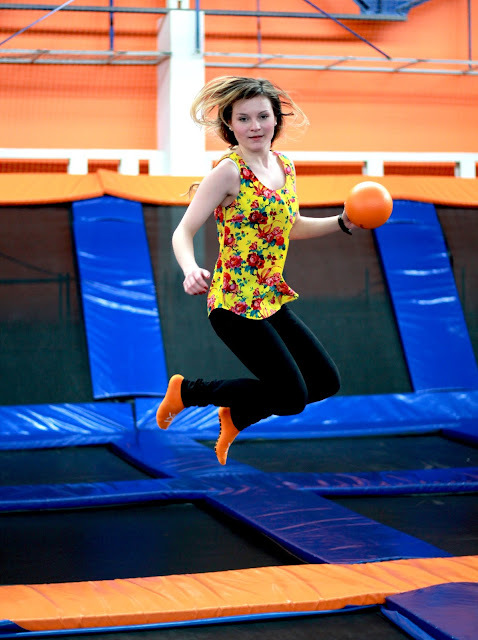 Jumpcity has 140 trampolines in total. They are ready for you to bounce down your stress levels and increase endorphins (we all need it time to time!). Located a walking distance from the main train station, it is easily accessible for people traveling to the Tricity (Gdańsk, Gdynia and Sopot) in Poland. 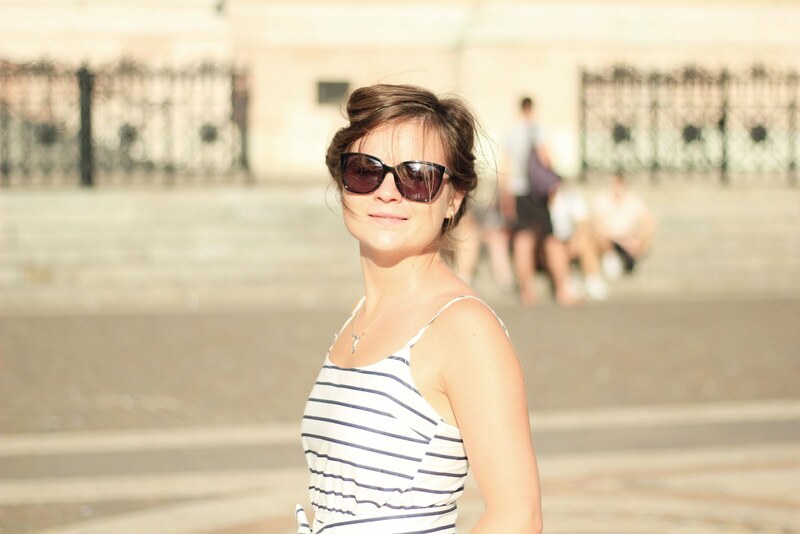 At the beginning of your session you will receive an entrance band that should be worn at all times to avoid confusion with other people who are just about to pay for their session. The band also allows you to check how much longer you have left without paying for an extra hour. 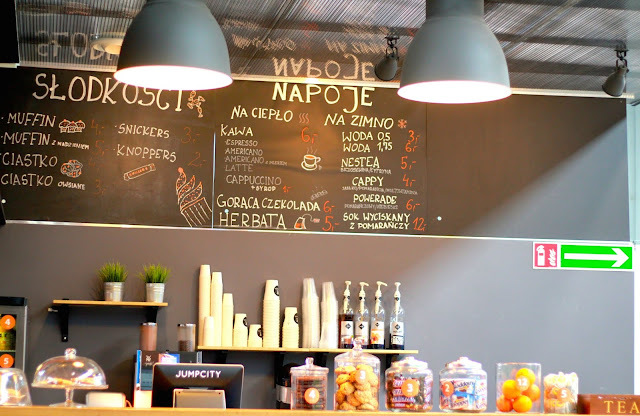 In terms of costs for 30 PLN you receive 60 minutes of fun (more here). For me an hour was more than enough; bouncing happily around can be tiring, more than I thought so. 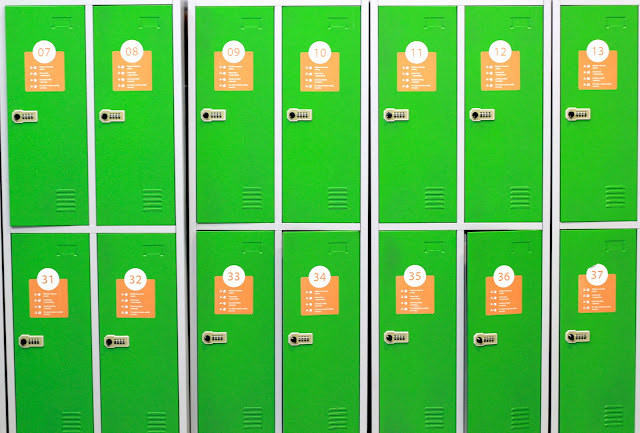 I left my belongings in the lockers provided (bright green, you will not miss them) so I did not have to worry about all of my things bouncing out of my pockets. You can be bare footed or buy a special pair anti slip socks (5 PLN) which come in a bright vibrant orange. They allow you to have a better grip whilst bouncing around. I highly recommend buying them before your jumping adventure begins. Even if you are not going to return for more they can always be used when you walk on slippery floors at home. Jumpcity offers 6 different sections. 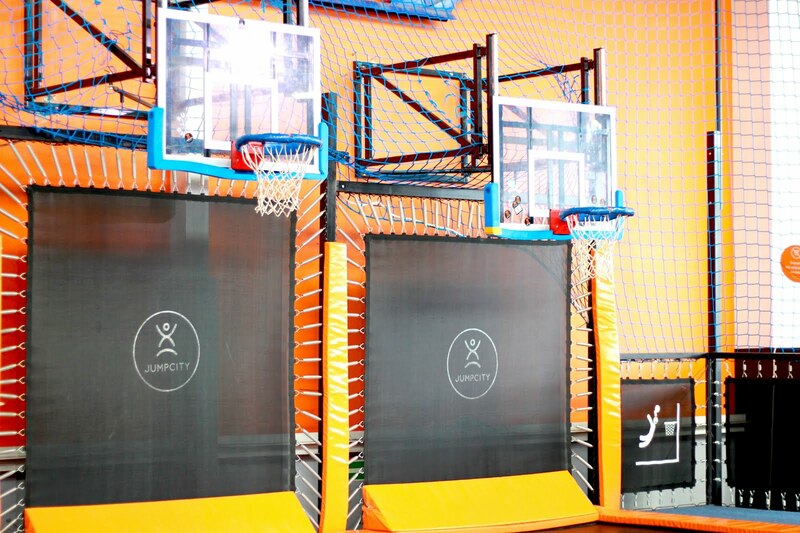 Nearest the reception you to try trampoline basketball. Even petite girls like me are able to jump up as high as the basketball hoop get massive slam dunks! It is quite an achievement as without trampoline I would never be able to do so. Plus they are on different heights so you pick the one you feel most comfortable with. As you can see, at first I had my reasons to be quietly reluctant and closely investigated where and if my head could be locked somewhere. Thankfully after the positive investigation I was reassured that this time my head will not end up between the springs. After this I just let my hair down and enjoyed myself. 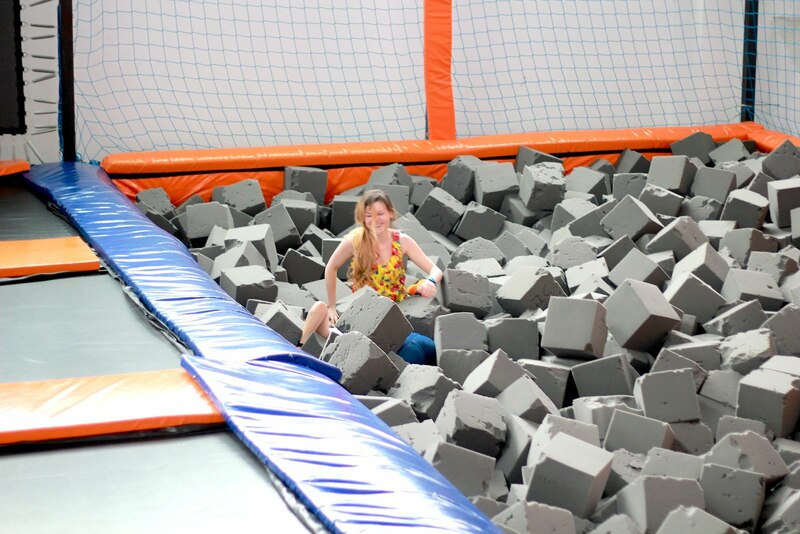 So why did I go to a trampoline park if I was afraid of hurting myself? Firstly, I do tend to say 'Yes' (my private Project Yes, that I happily continue for over 3 years now. Let me know if you want to read more about it.). Basically I say 'Yes' to ideas that at first take me out of my comfort zone, and most of the times they end up on a positive note. Moreover I always wanted to jump into the sponge pit. 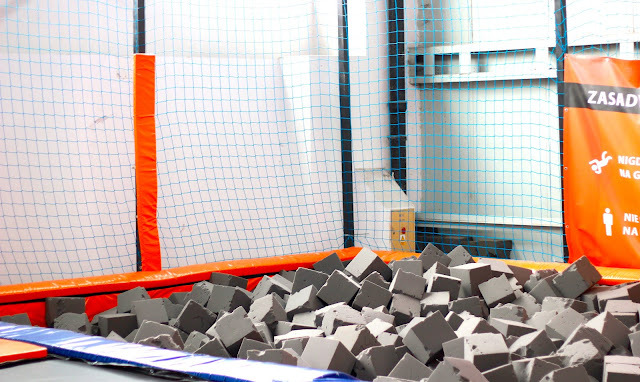 There is no better place to check out your freestyle jumping skills into a cushiony foam pit, which provides soft landing. 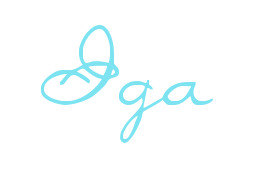 Getting out of it can be a struggle, but a pleasurable struggle. If you want more you can also try, for an extra charge, one of their fitness classes. On this occasion I was with a group so I did not have the time nor energy for a class but I can imagine how exciting it can get. 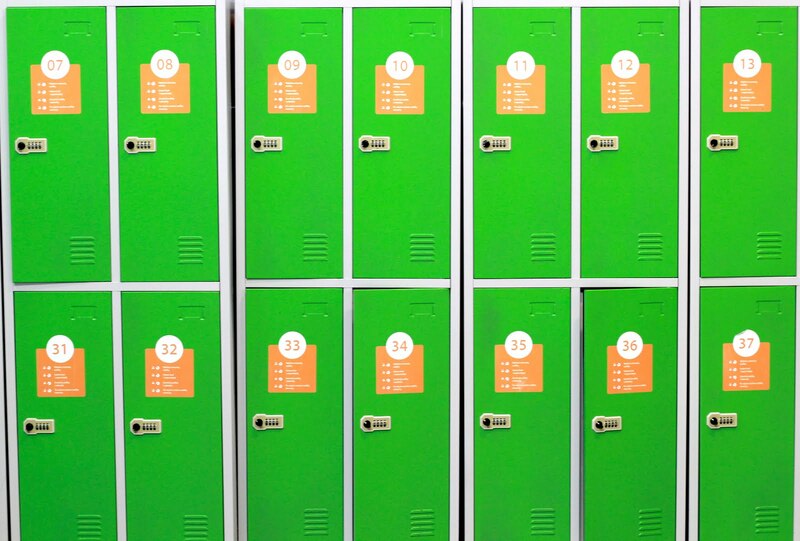 If you are going with a group there is also an area to play dodgeball, perfect place for an active double date. I am not going to lie, the trampoline park for a first date might seem like a daunting idea (some falls are less or more dignifying) but the amount of fun and good vibes it's just unbeatable. 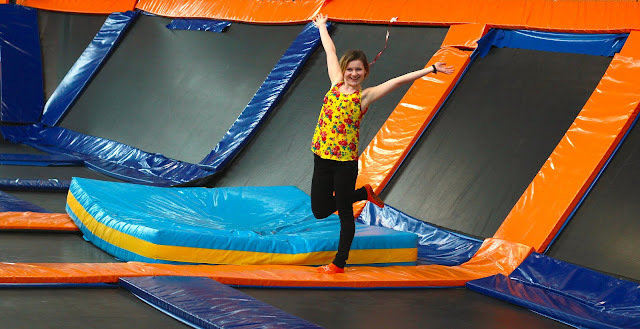 If you are traveling with family and kids in Jumpcity you will not feel out of place as a parent. I have to say that most of the people that were there at the same time as me were parents with kids (seriously, nothing cuter to watch a proud dad jumping with his little girl). After half an hour I was quite tired and thirsty so I popped in to a little cafe behind the reception to refuel my energy level with a drink. 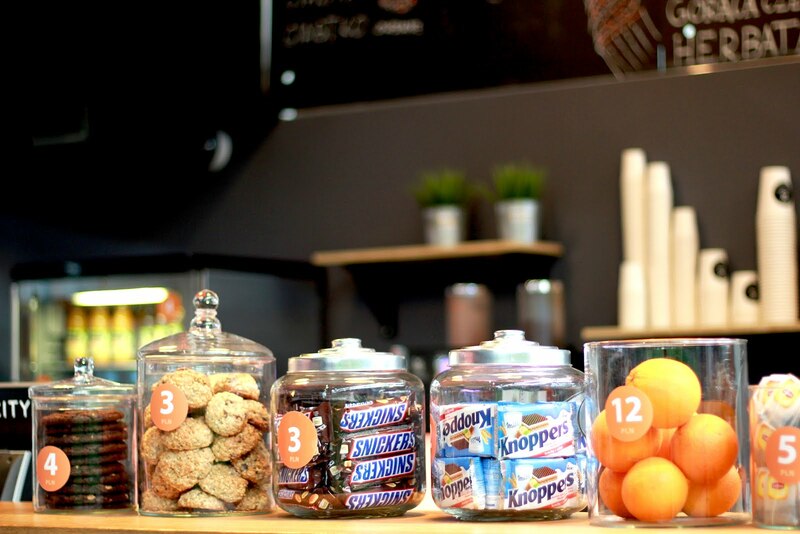 Afterwards you can also grab a sweet snack or some fruit. I went for an orange. 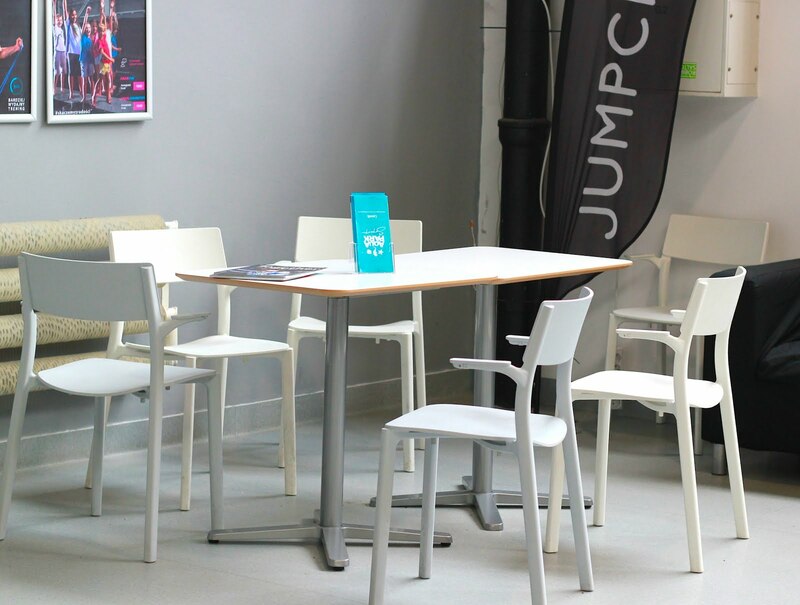 Just take a sit, catch your breath and plan your next visit! After a quick Google search I was able to discover that there are trampoline parks in the UK, I have not been in them so I cannot give my recommendation (I would love to!). 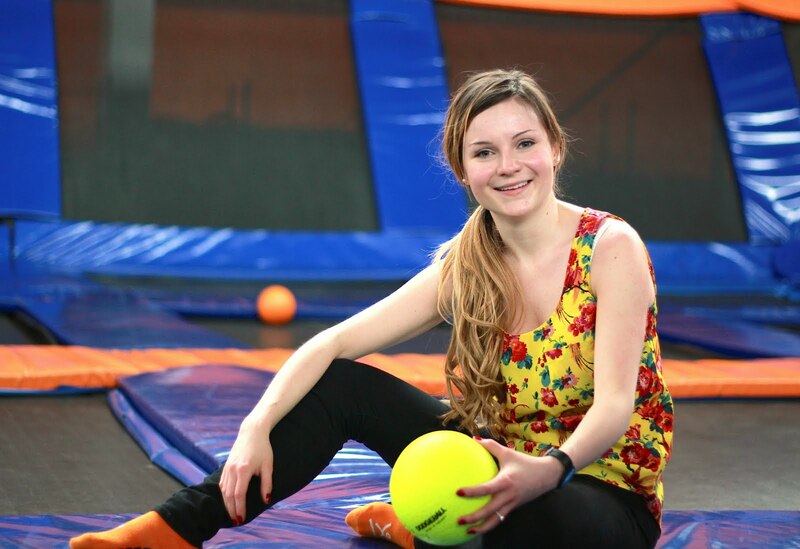 Have you had a chance to try any trampoline parks? Would you like to? What do you think of them? Share your thoughts in comments, on Twitter and Instagram.